No. 32. The Book of Distillation: the First Book. Edited with an Introduction and the woodcuts coloured by Adam McLean. Hieronymus Braunschweig's famous Liber de arte destillandi printed in 1500, was the earliest printed work on ditillation and a very popular work. It was the fruit of many years work with distillations and he wanted to share this with the wider public. 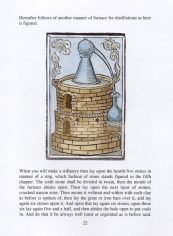 The book is divided into three parts : the first dealing with the apparatus needed and the various techniques used in distilling, the second part is a repertory of plants in alphabetical order, with a description of these, the methods of making distillations from them and the uses of these in medicine, while the third part builds on the second but instead presenting the information about the herbs, under the diseases to which they should be applied. Here I have transcribed the first part of the work and coloured the famous woodcuts. This book was extremely influential and helped establish the craft of distillation, which was the basis of the emerging chemical industry. 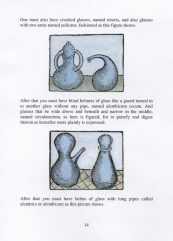 One feels sure that many alchemists would have read this book of distillation. The simple woodcuts of apparatus were much copied in later books and this work had an impact on the practice of alchemy during the sixteenth century. Limited edition of 100 copies, signed and numbered. 48 pages. 23 illustrations. 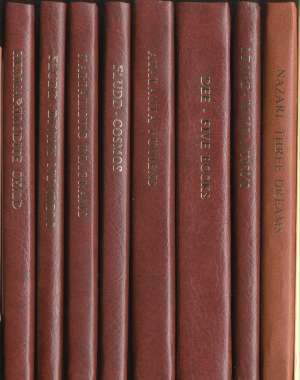 A5 Hardbound.